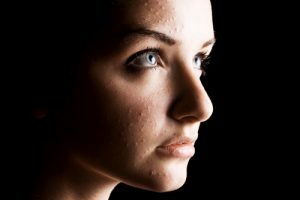 Probiotics: A Possible Cure for Acne? Probiotics are microbes which are "good" bacteria that help to balance the body and can be found in foods such as yogurt and milk. Probiotics are also available in supplement form such as Acidophillus tablets. Typically, probiotics are used to treat wide variety of digestive and gastrointestinal issues, however, lately they are being looked at as a possible topical treatment for acne skin conditions. The theory being presented is that probiotics will clear up acne by reducing the amount of bacteria on the skin's surface. Also, probiotics can help reduce the amount of inflammation within the skin which is also a contributing factor to those who suffer from acne. First, anything claiming to be a "cure" for acne should immediately send up red flags. Why? Because there is NO CURE for acne. It can be managed but not cured. Secondly, although the theory of probiotics reducing the amount of bacteria on the skin's surface sounds promising, it doesn't attack the SOURCE. The bacteria that causes acne is the p.acnes bacteria and lives deep within the sebaceous (oil) glands. When the follicle gets 'plugged' and no oxygen can get to it, the p.acnes bacteria multiply rapidly because they are anaerobic (live without oxygen). Once this happens, the infection takes hold and a pimple begins to form. Probiotics can't get to the source; they only work on the outter most layer of the skin. Overall, I feel probiotics aren't a bad idea when it comes to another means to treating acne. They do offer surface bacteria reduction to a point and they have anti-aging and skin-tone-improving abilities. However, in my opinion, they need to be used IN CONJUCTION with other proven acne-fighters. Question: Have you ever tried probiotics as a means to treating breakouts such as making a homemade yogurt facial masque? Let me know-I'd like to hear your thoughts. Thanks! Can Vitamin C Prevent Acne? Get the most up-to-date skin care information delivered right to your inbox! Subscribe to The Mineral Makeup Coach Blog today. This entry was posted in Skin Care & Treating Acne and tagged acne, acne cure, bacteria, breakouts, pimple, probiotics on January 27, 2010 by PRIIA Cosmetics.